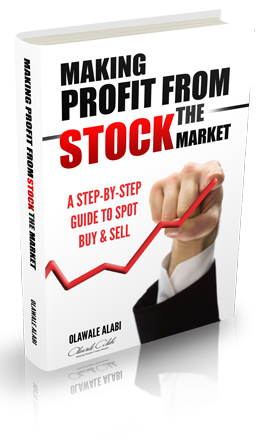 Olawale O A Alabi is an Entrepreneur and Visionary, Financial Executive with in-depth experience in Securities Trading, Training on Financial Instruments, Sales and Marketing. Though a Quantity Surveyor by training, his strong instinctive entrepreneurship drive saw him taking interest in the stock market as early as 8 years of age. This was fuelled by the weekly TV program (Newsline) analysing Nigerian stocks. By the age of 17, he was actively buying shares with his earnings from an internship with a Civil Engineering firm successfully applying his acquired knowledge. Ola relocated to the UK in 1997 and at various times worked in the IT department of Bank of America and Barclay's Capital supporting the traders. This experience was catalytic in developing a keen interest in Forex and Commodities trading, which made him sat under the tutelage of some of the best traders in the industry. He now trades fulltime as a retail trader and also run training programmes on how to profitable trade various financial instruments. Ola is married to Adeola, his lovely wife, and they have two children.